I save a lot of brownie recipes, but I never really bake any. I do enjoy having some warm brownies to go with a nice vanilla ice cream. However, if I’m going to bake something, more often than not, I try to challenge myself with a layer cake or a cheesecake or a pie. 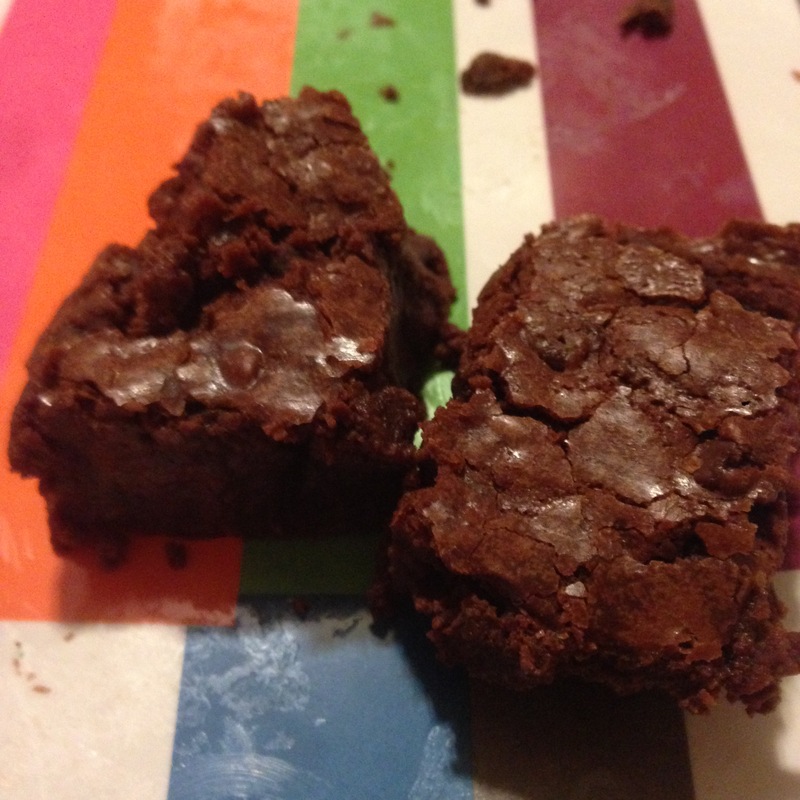 Brownies just seem so simple to me. The brownies were not completely cooled when I needed to cut them, so they cut messy. Next time, I’ll prepare a little more in advance to allow for more cooling time. Preheat oven to 350 degrees. Line a 9″ x 9″ baking pan with aluminum foil. In a medium saucepan on medium heat, melt butter and chopped chocolate, stirring continuously. Remove from heat, pour into large mixing bowl, and let cool. Whisk sugars into the chocolate mixture, then add the eggs one at a time until incorporated after each addition. Add the vanilla extract. Carefully fold in the flour, cocoa powder, and salt. Once combined, fold in the chocolate chips. Pour the brownie batter into the baking pan. Bake for 35 minutes (begin to watch at 30 minutes) or until brownies begin to pull away from the sides of the pan. Cool on a wire rack, then lift brownies out of the pan. Allow to cool completely before cutting into squares.